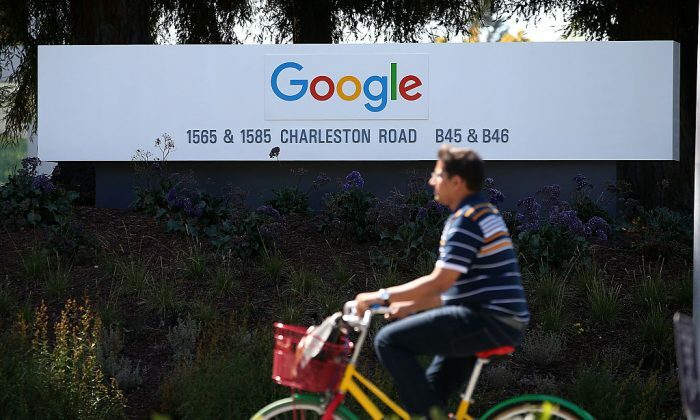 Google has fired the engineer who wrote an internal memo questioning restrictions on free speech in the company’s offices and who suggested promoting diversity through different means other than by discrimination. Damore’s 10-page plea for an honest and rational discussion about the software giant’s diversity policies became the subject of an internet firestorm over the weekend. Google openly discriminates in favor of women in its hiring practices because the company has more male engineers and wants to appear more inclusive. Damore pointed out that the discrepancy may be partly the result of biological factors and fundamental differences between men and women. He suggested diversity could be improved by accommodating such differences, making Google a workplace women would seek on their own, rather than by discriminatory hiring policies, which could lead to legal repercussions. “Discrimination to reach equal representation is unfair, divisive, and bad for business,” Damore wrote. Damore’s firing strengthens his larger point of widespread discrimination permeating Google’s workplace culture, where only left-leaning ideological views are tolerated, while employees with conservative viewpoints are shamed and intimidated into silence. “I’ve gotten many personal messages from fellow Googlers expressing their gratitude for bringing up these very important issues, which they agree with but would never have the courage to say or defend because of our shaming culture and the possibility of being fired,” Damore wrote shortly after his memo went viral. The culture of snuffing out opinions outside of a “politically correct” spectrum, while claiming an openness to a diversity of opinion is prevalent in a large swath of the tech industry. Tech giants Twitter, Facebook, Youtube, AirBnB, and even smaller companies like Patreon and Mozilla, have all taken steps similar to Google’s to silence free speech in the name of political correctness. The term “political correctness” first came to use in communist regimes in the 1930s. In the United States it has since evolved into a favored tool of the left-leaning political spectrum: socialists, democrats, progressives. It’s been criticized for shutting down not only discussion, but also reflection on important topics. Yonatan Zunger, recently departed Google privacy engineer, wrote a blog post criticizing Damore, but, inadvertently, confirmed Damore’s points—that Google culture is biased enough to respond to Damore’s memo with misrepresentation, hostility, and even violence. But Damore explicitly stated that his point about innate differences can only help explain unequal representation overall and can’t be applied to individuals. Google’s diversity chief, Danielle Brown, responded to Damore’s memo by simply dismissing it. “I found that it advanced incorrect assumptions about gender,” she wrote in a memo to all staff.